How incremental improvements can impede innovation. 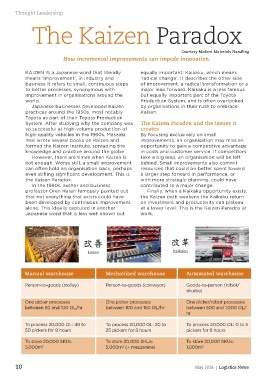 practices around the 1950s, most notably           Kaizen. In the 1980s, author and business               contributed to a major change. Japanese word that is less well known but          work.